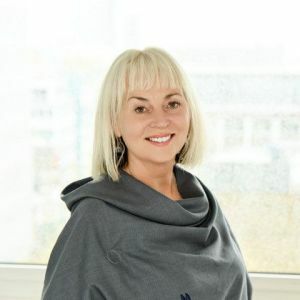 Greer Simpkin joined Bunya Productions as Producer and Head of Television in March 2015 after many years working in editorial and production roles in broadcasting - ABC (Australia) and Channel 4 (UK). Since joining Bunya, Greer has produced the television drama seriesMystery Road, the award winning feature filmsSweet Country(directed by Warwick Thornton) andGoldstone(directed by Ivan Sen). Sweet Countrywon the Special Jury Prize at the 2017 Venice Film Festival, best film in the Platform competition at the Toronto Film Festival and a number of other awards around the world.Goldstonepremiered in the Platform section at Toronto Film Festival, opened the 2016 Sydney Film Festival and has won critics awards in Australia. Greer was an Executive Producer on Rachel Perkins’ feature Jasper Jones(Shanghai Film festival). She has also produced the documentaryThe Troublesome Priestfor the ABC, the VR filmEvery King Tidefor SBS (Cannes Next VR) and the 3 x 1 hr drama/documentary series Blue Water Empire for the ABC. She is also producing the feature documentariesSanctuary and Beautiful Minds(one of 6 Good Pitch Australia finalists in 2016). Greer was a Programme Finance Executive for Channel 4 in the UK for 6 years where she oversaw the financing of all factual programmes. Prior to that, Greer was Head of Production for Mentorn Films (now Mentorn Media) and was a producer for the acclaimed filmmaker and photographer Brian Duffy.